Life is full of special moments that are best celebrated in style. Make your next birthday or special celebration extraordinary by hosting it at a one-of-a-kind Disneyland venue. Make it extra-special with our incredible range of offers. It’s the ultimate way to party! A birthday celebration at Hong Kong Disneyland means a truly magical time for your little star and invited family and friends. 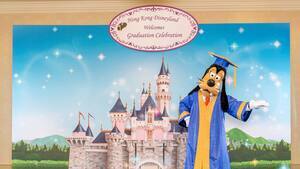 Come experience the wonder of Disney as you enjoy celebratory moments and a full-range of services. It’s that special time when your newborn is ready to receive the sincere blessings of extended family and friends. Celebrate the happiness of your family’s newborn member with a meaningful party at Hong Kong Disneyland Hotel, the perfect venue for such a precious moment. A full range of services are available including Disney entertainment, party snacks, souvenirs and much more. The 100th Day Celebration only comes once – make it count with a celebration at Disney! It’s important to honor students’ academic achievements, no matter if its kindergarten all the way to university. 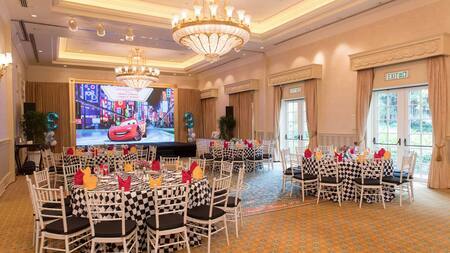 A graduation celebration at Hong Kong Disneyland Hotel is the best way to commemorate these special occasions and recognize students’ hard work and academic accomplishments. Get your graduation cap and gown ready for a special celebration that showcases how far they’ve come. Make it a birthday that your little one will never forget! The Deluxe Package adds an extra dose of Disney magic to your momentous occasion thanks to incredible offers. 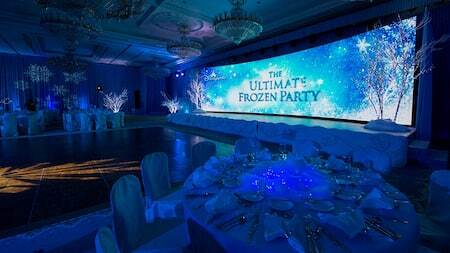 Your party will be staged with an LED wall backdrop and decorations based on your choice of available Disney themes. Pamper your birthday star and guests with a special birthday cake and desserts based on an adorable Disney story, along with much more! By choosing the Standard Package, you and your birthday star can enjoy a party with a full-range of offers and services. The party includes a buffet lunch, unlimited beverages, a recreational activity, a delicious birthday cake and more. It’s bound to be a birthday your child will remember fondly forever! 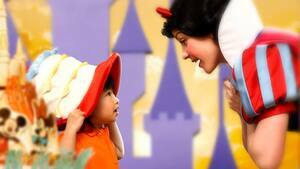 Disney’s memorable baby debut parties are now enriched with Disney touches. Wow your guests with a sumptuous buffet or Chinese banquet, served with Disney flair in the luxurious ballroom of Hong Kong Disneyland Hotel. 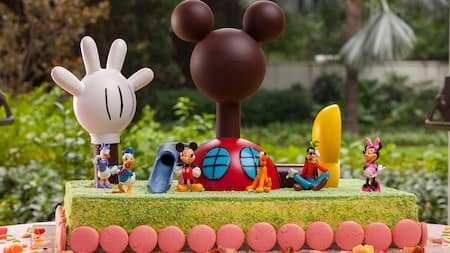 Lunch and dinner packages include complimentary traditional dishes red eggs and sour ginger, and a choice of three new designs of delightful Mickey and friends themed celebration cakes for spectacular photo moment. 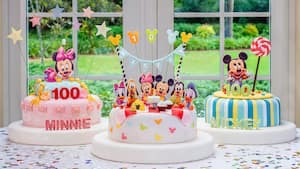 Invite 120 guests or more, and beloved Disney character will show up to make the cutting of the birthday cake a moment to cherish for a lifetime and a Disney-themed mini sweet station will be set up specially for your guests. It’s the perfect way to celebrate your precious little one’s “Full Moon” (first month) or 100th day milestone. A delicious cake is absolutely essential for any birthday celebration. This Disney-themed birthday cake is sure to taste delicious and will add extra Disney magic to any party. Sweet treats are the perfect party pleasers for your next event. Serve up some delicious desserts to make every guest extra happy. These Disney-themed cakes are made to order, meaning they are fresh, delicious and infused with Disney magic just for you. Raise your ideas and requests to our talented pastry chefs, who will then get to work making a tailor-made cake for your birthday star or special occasion. 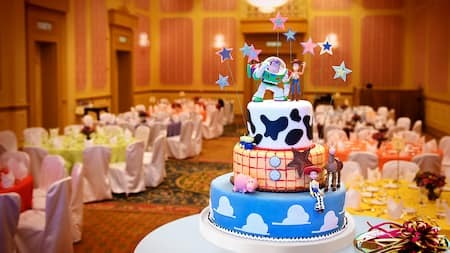 The cake’s design can feature your favorite Disney character and other themed elements. 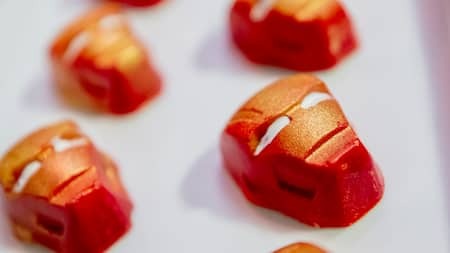 Everyone loves to indulge their sweet-tooth once in a while, and these sweet party delights are both delicious and visually stunning. 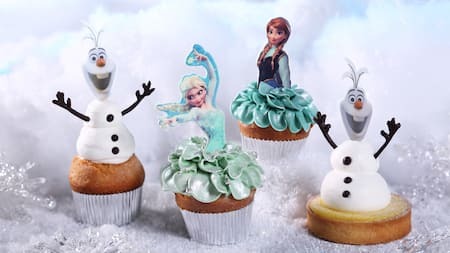 Make all your guests happy by adding Disney themed desserts including cupcakes, chocolates, lollipop, popcorn, cotton candy, pudding or even a chocolate fountain, among many other choices. For a truly unforgettable event, choose a specific birthday theme and invite your favorite Disney character to join in the celebration! Add extra magical experiences to your next party for even more fun. 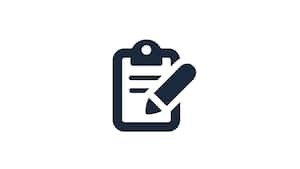 Choose from a wide-ranging list of activities. Are you planning a birthday party or special event and looking to make it extra special? Hold your celebration with us and let us bring your memorable party to life! 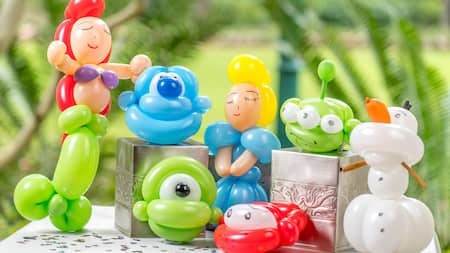 When you choose to host a birthday party with Hong Kong Disneyland, you can also choose from a number of party themes. For birthday boys, these include Star Wars, Marvel, Toy Story and Cars. 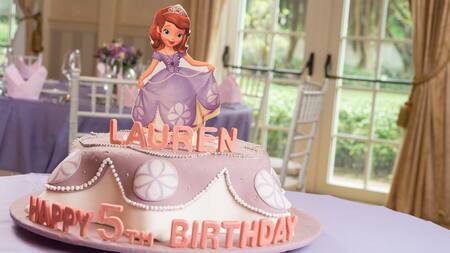 For birthday girls, choose from Frozen, Sofia the First or the Disney Princesses. You can also invite your favorite Disney characters to join in the celebration, making it a truly unforgettable and magical moment. You’ve chosen the perfect cake, treats and party theme, but there’s even more to make your next party or special occasion extra special! 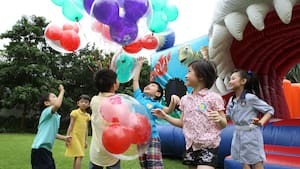 Crank the fun up to 11 by choosing from all sorts of indoor and outdoor activities, including a bouncy castle, balloon twisting, flogo machine rental, magic show, face paining or live band!